Warren County Technical School’s Electronics Technology Academy is a comprehensive program covering electronic theory. The program starts with basic electrical circuits and progresses through complex circuit analysis. The theory learned is applied to advanced programming of microcontroller circuits. Students who complete this program will have the ability to either seamlessly integrate into the work environment or go onto institutions of higher learning. Problem solving and independent thinking are emphasized throughout all four years. Most students pass industry certification exams such as A+ for computers or CEA for electronic technicians. The program starts with an introduction to skills needed for many careers in electronics. Students are trained to utilize common test instruments while learning about circuit construction. Next they progress to advanced electronic theory, including the basics of semiconductors and power supplies, transistor theory, and amplifier circuits. Students’ advance to Digital concepts. This theory forms the basis for the learning of computer/network troubleshooting and maintenance. This is followed by an introduction to robotic concepts, computer microcontrollers and their programming. 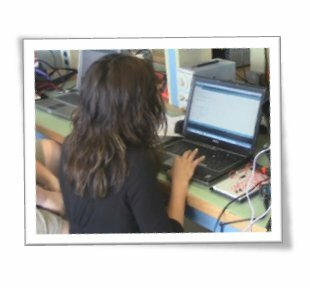 Students are challenged to write software which controls various robotic devices. In the final year of the program they pick one or more specialized topics to study. 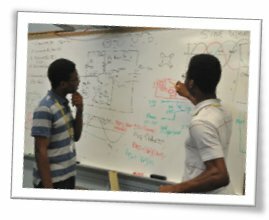 These topics include: project design and management, A+ computer repair and maintenance, or technology for green renewable energy. Throughout this school year, students take one of many industry-accepted, certification exams in computers, electronics, or energy. Students in Warren Tech’s Electronics Academy learn advanced theory in Electronics that prepares for placement in college electronics programs. Students in the Electronics Academy at Warren Tech design and build projects using advanced electronics and a variety of machines, tools, and equipment that prepare students with the skills needed in the Electronics field. The Warren Tech Electronics Career Academy provides students with the skills needed to pursue a post-secondary education in Electronics at colleges, universities, and trade schools. The program also prepares students for careers in the field out of high school, either in industry or in the military. 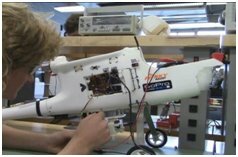 Students in this program design and build real life projects using advanced electronic theory as well as modern technology and equipment. These projects prepare students with the skills needed for employment in the Electronics field and placement in college programs. Students in the Electronics Program also have the opportunity to compete in SKILLS USA. 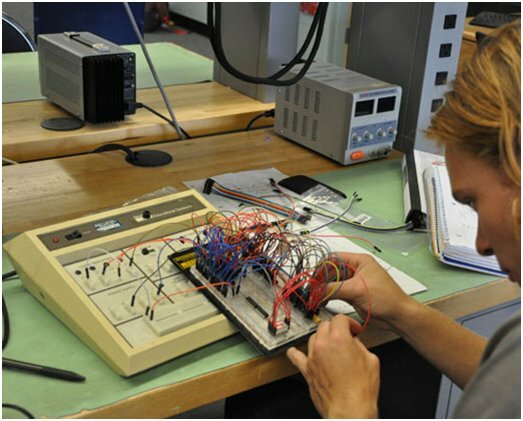 Students in the program learn advanced theory in electronics that prepares for placement in college electronics programs. Warren Tech students are introduced to concepts and theories that are often taught at the college level, giving Tech students an advantage when they enroll in college electronics programs. Students enrolled in the Electronics Academy at Warren Tech are also prepared for careers in the electronics field right out of high school including military careers. The Electronics Academy provides an opportunity for students to obtain a number of industry accepted credentials and certifications in computers, electronics, and energy. Students in the Electronics program have the opportunity to earn industry-accepted, certifications and licenses. These include CCT-Certifies Electronics Technician, GROL-FCC General Radio Operator License, and all three Amature Radio License Grades. career and goals, plus I am having fun learning"